Norman Rockwell (1894-1978), The Runaway, 1958. Norman Rockwell Museum Collections. ©SEPS: Curtis Licensing, Indianapolis, IN. 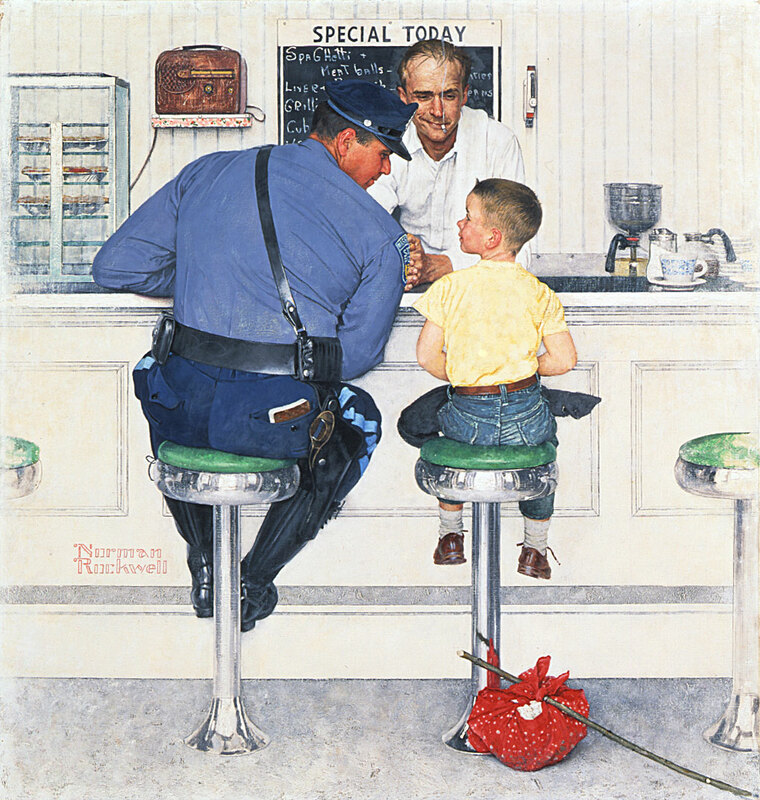 Stockbridge, MA, October 6, 2017—Norman Rockwell Museum will honor the work of first responders from the local community, during a special family day event to be held at the Museum on Saturday, October 28, from 11 a.m. to 2 p.m. Starting at noon and 1 p.m., enjoy a K-9 officer demonstration, to be held on the Museum grounds. At 1:30 p.m., join Museum staff for a drawing demonstration based on Norman Rockwell’s classic 1958 tribute to law enforcement, The Runaway. Visitors will also have the opportunity to view official police cars, fire trucks, and an ambulance, and take their photo with a special mock-up of the diner from The Runaway. Food will be available throughout the event from the East Chatham Food Company, with representatives also on hand from the Stockbridge and Great Barrington Police and Fire Departments, South Berkshire Volunteer Ambulance Service, and East Chatham Fire Department. The event is free for Museum members or with regular Museum admission. Generously sponsored by Norman Rockwell Museum National Council members, Tom & Kim Ruffing.